I was very pleased to be invited to attend the Grenada Chocolate Festival 2015 with a group of fellow food, travel and chocolate bloggers, courtesy of the Grenada Tourism Authority. 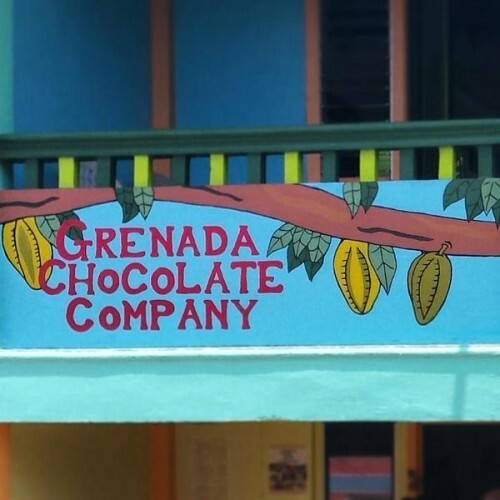 Grenada has a very special place in the bean to bar chocolate world. 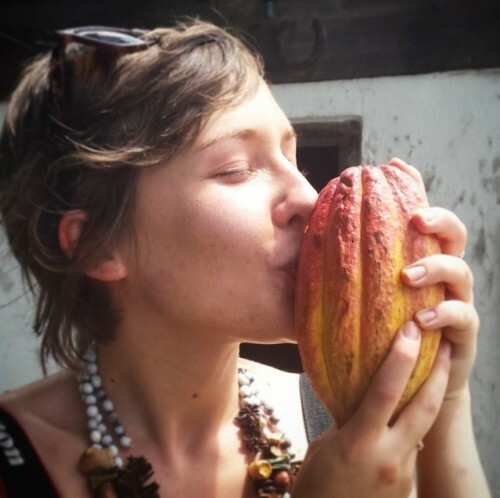 It is home to the Grenada Chocolate Company, the only solar-powered chocolate factory and probably the most ethical chocolate factory in the world! It is also home to some of the world’s finest cacao. 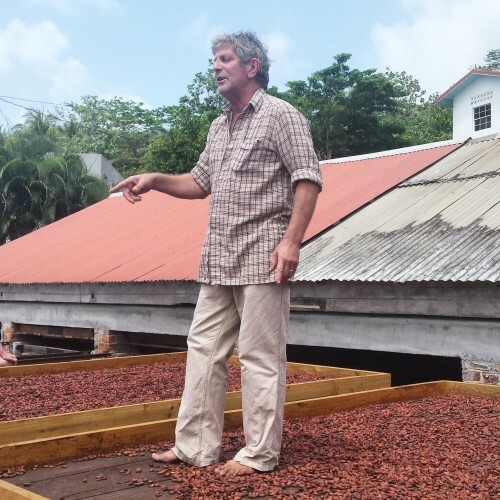 The Grenada Chocolate Company, founded by the visionary, late Mott Green, is farmer-owned and makes chocolate from tree to bar using 100% organic Grenadian cacao. Pump Street Bakery make the only single estate Grenada bar from Crayfish Bay Organic Estate cacao. This bar from Pump Street has won both Academy of Chocolate Awards and International Chocolate Awards. The Grenada Chocolate Company have won their fair share of awards from both organisations, too! Grenada is situated in the southern Caribbean. 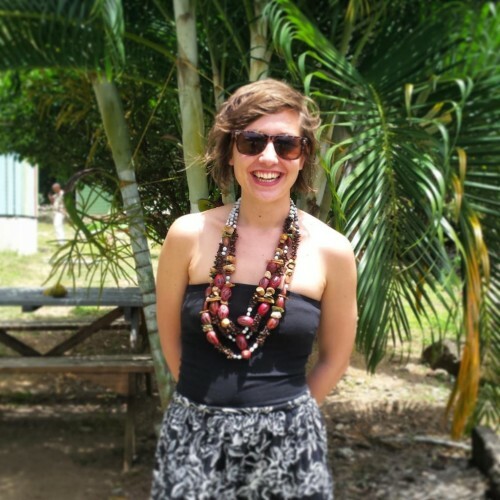 The wonderful Magdalena Fielden, co-owner of True Blue Bay Resort, founded the Grenada Chocolate Festival which is now in its second year. The festival covers a huge variety of chocolate and cacao related activities which really got the whole island involved! Grenada has an incredible place in the world of chocolate, however, it has plenty more to offer on top of this! It is known as the Spice Isle or “Spice of the Caribbean”. We had one week on the island and we packed as much as physically possible into that week! Our first day consisted of visiting Concord waterfall, visiting the Gouyave Nutmeg Processing Station (where I purchased some beautiful spice necklaces), visiting Diamond Chocolate Factory, visiting Crayfish Bay Organic Estate, and having an authentic Grenadian lunch followed by a tour of River Antoine Rum Distillery… phew! On top of all this, as we were driven around the island we passed numerous cacao trees growing wild along the roadside. This completely blew me away; I couldn’t stop myself from jumping and clapping with excitement as I spotted each cocoa pod, with all the emotions from the other events bubbling inside me too. What an incredible day! The following day we spent the morning snorkelling on a boat trip with the Grenada Aquanauts in the crystal clear water followed by a Grenada Chocolate Company chocolate tasting on the boat with some cocoa tea and rum! The next day we visited St George’s Spice Market. Amongst the vast selection of vibrant spices, I found fresh cacao pods on sale for 50p! 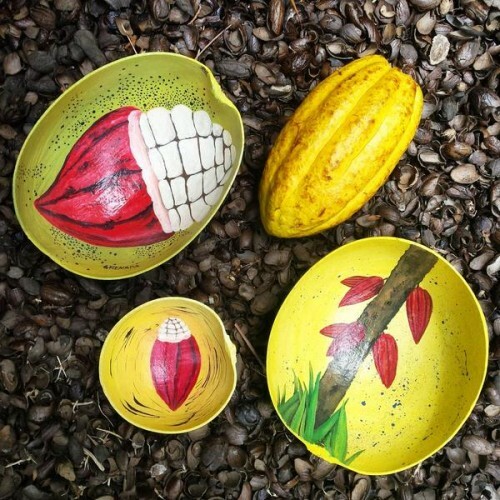 I also found some calabash bowls with stunning hand-painted designs of cacao. The excitement took over and I couldn’t help myself; I found four bowls in total from various stalls and bought them all except for one (which I let Dom buy instead)! 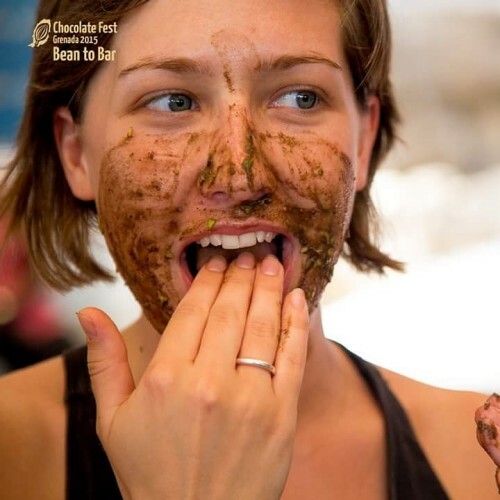 That evening the second annual Grenada Chocolate Festival began with the opening party of “Get in the Mood for Chocolate” at Dodgy Dock in True Blue Bay Resort. Fresh cocoa pods and cocoa leaves decorated every surface, bringing the magic of the cacao farm to the party. The evening was the perfect blend of live Grenadian music, cacao-inspired cocktails (including fresh cacao pulp mojitos! ), delicious canapés and chocolate treats using Grenada Chocolate Company chocolate (of course) created by Head Chef Gary Birkett, and a vast selection of locally produced handmade chocolates and cacao arts and crafts. I instantly fell in love and adopted a beautifully handmade cacao lady, who stayed in my hands or on my shoulder for the rest of the night! 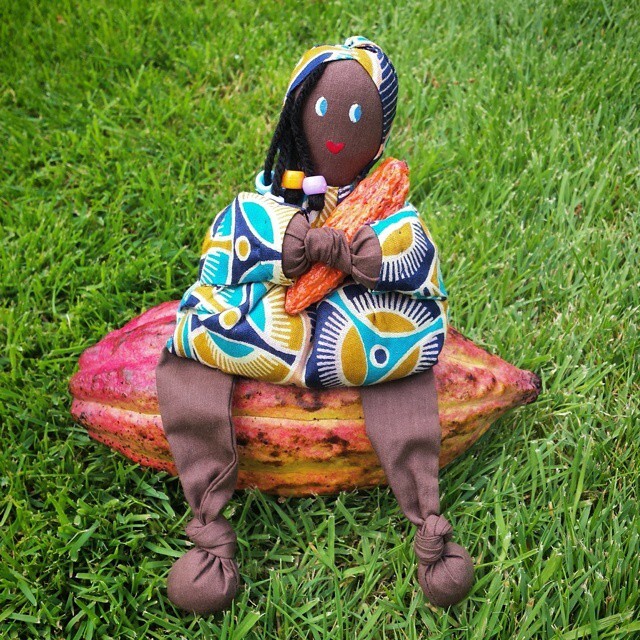 My little hand-crafted cacao lady on her cacouch! 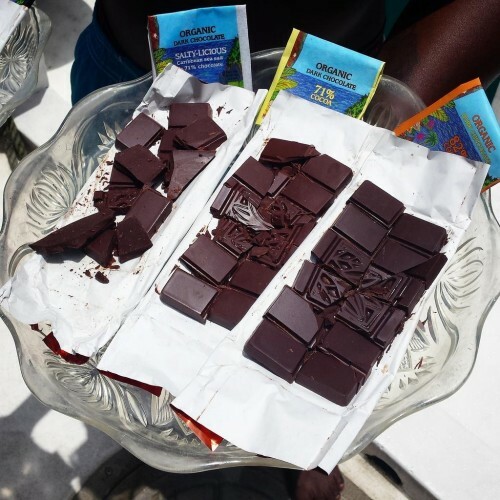 The theme for the first day of the Grenada Chocolate Festival was “Health Benefits of Chocolate” and began with Chocolate Yoga and Meditation. This took place on the colourful True Blue Bay yoga deck which looked out on the Caribbean sea. 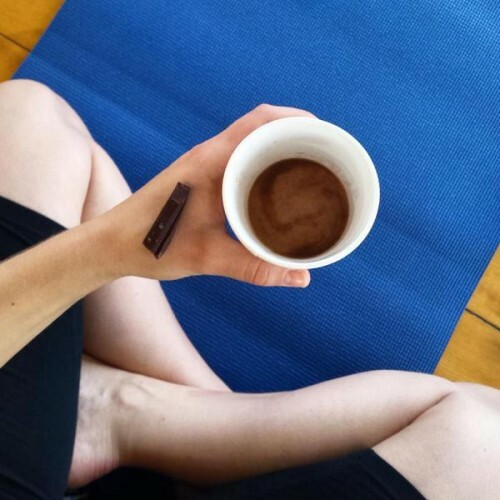 After our yoga session, we were given Grenadian chocolate as the focus of our meditation, followed by a meditation with cocoa tea. I wish I could start every day this way! After the Indulgent Chocolate Breakfast we took part in the Healthy Benefits of Chocolate workshop. 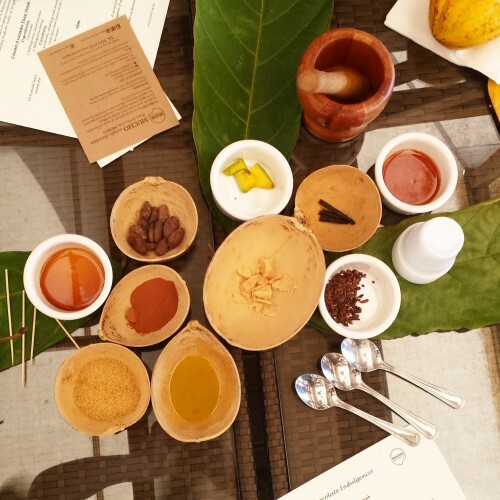 This involved creating our own face masks, body scrubs and moisturisers from cacao and other ingredients such as honey, fresh fruit and vegetables. The workshop, lead by Chocolate Expert Ana Rita Garcia Lascurain from Mucho Mundo Museum, Mexico, introduced us to the versatility of cacao and some of the products we made were even good enough to eat! 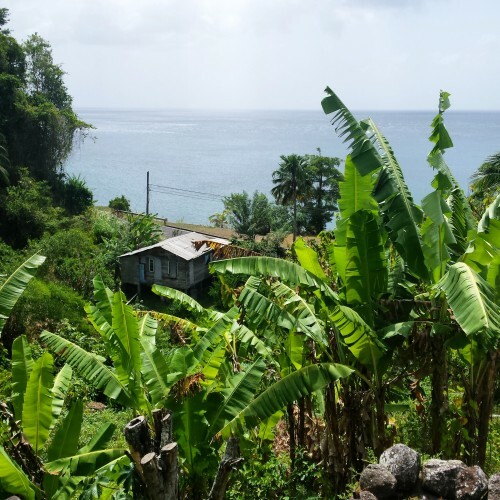 In the late afternoon, we went to the northern part of the island for the Grenada Hash. The Hash House Harriers is a “drinking club with a running problem” (essentially, a non-competitive social running club involving plenty of beer). The trail is set by the “hare” using flour (traditionally used in the UK) or shredded paper, as used in Grenada. 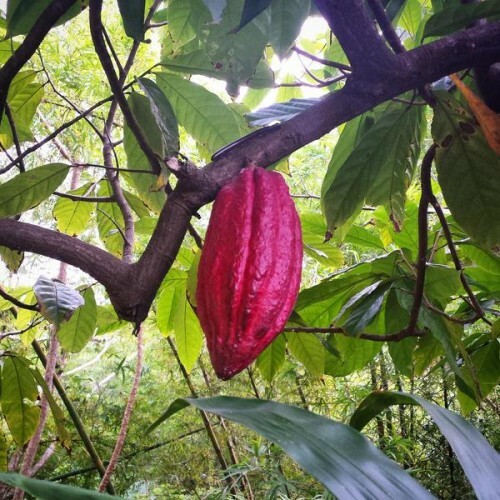 We were very lucky to experience this special Grenada Hash, set high up in the lush cocoa fields with fresh, clean air, enchanting hill views and an abundance of yet more colourful cocoa pods (and nutmeg trees)! It was, by far, the most sensational run that I have ever been on and a truly magical experience. I would like to thank the Grenada Tourism Authority for organising our chocolate-packed visit to Grenada, Blue Horizons Garden Resort and True Blue Bay Resort for hosting us, the fabulous Magdalena Fielden for organising the truly inspirational Grenada Chocolate Festival, and to everyone who made our stay so enjoyable. I am so very envious of this trip. It sounds fantastic. Mott Green is one of my food heroes and his untimely demise was a real tragedy. So glad chocolate production has continued. You’re site is looking fabulous too – I obviously haven’t visited, er, quite as often as I keep meaning to! Truly love you website…. and Instagram. Keep doing those amazing trips… love it!